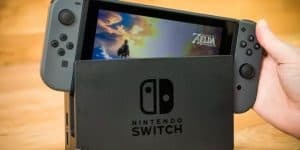 Nintendo Switch Shortages Are Unintentional | Nerd Much? Nintendo Switch shortages have been a fact of life around the world since the console’s launch back in March and Nintendo has been struggling to meet demand. Despite issuing a formal apology through the press, some customers are still under the impression that the shortage is intentional. As demand tends to increase the less a given product or service is available. Nintendo is doing their best to “get as many units out as we can to support” all the upcoming games that will be coming out within the year. Especially with Super Mario Odyssey coming out this holiday, Nintendo really wants there to be enough out there for consumers. According to Scibetta, as much as Nintendo anticipated a demand for the Switch, it was nowhere near what people actually wanted. Scibetta says that they sold 2.7 million within the first month and hope that there will be about 10 million more by the end of the fiscal year. However at the moment, Switches are being snatched up the moment they hit retail stores and as much as that’s a good thing, Scibetta does realize the shortage isn’t good for costumers. Scibetta also mentions that Nintendo plans on delivering 20 million Switch units by March 2018. This far surpasses the Wii U numbers, having only reached 13.56 million in it’s entire lifetime. The numbers certainly speak to the Switch’s success over the last console Nintendo introduced.